A rezoning bylaw for expansion of the Croftonbrook affordable housing complex was given second reading by the Salt Spring Local Trust Committee on Thursday. Despite the project’s water system not yet receiving the required approval from Island Health, LTC members were convinced that holding back the project for that reason was not necessary. “If this doesn’t pan out — there isn’t enough water — they simply aren’t going to be able to proceed because they are not going to get approval [from other agencies],” concluded LTC chair Peter Luckham after a lengthy discussion with Trust staff and representatives of the proponent, Island Women Against Violence. As IWAV project team member Janis Gauthier explained, not having rezoning in place before proceeding to the next approval phases would be extremely troublesome for the project. She noted that BC Housing, which is providing the bulk of the project’s funding, has strong monitoring processes so that the development will not proceed as planned without the water issue being dealt with. Although the existing 20 Croftonbrook seniors affordable housing suites are serviced by an existing North Salt Spring Waterworks District connection, NSSWD would not agree to supply the new units with potable water. 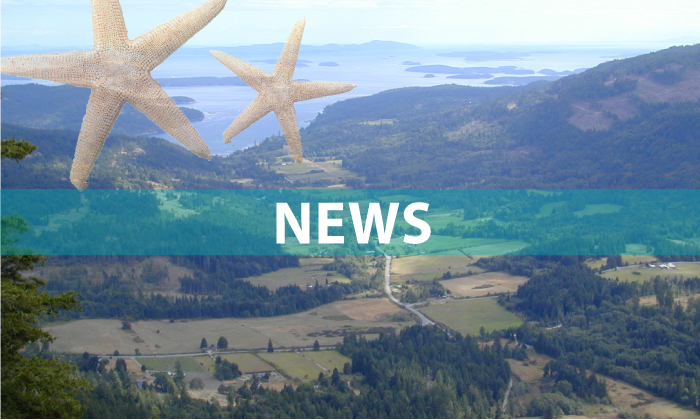 That means IWAV is in the process of getting approval from Island Health and the Capital Regional District for an alternate water supply, which proposes to use a combination of groundwater and rainwater as sources. Various water-saving measures are also in the plan, with NSSWD water available for firefighting purposes. Salt Spring trustees George Grams and Peter Grove expressed support for the project at Thursday’s LTC meeting at Lions Hall, and tweaked wording of the suggested motions to remove water approval as a roadblock at this point. Bylaw 507 will rezone the property from its current agriculture and residential zones to a new Residential 1(b) variation. The rezoning would allow construction of 34 affordable housing units plus office use in two of Croftonbrook’s existing 20 units of seniors housing. A further project phase would add another 20 units. A community information meeting and public hearing will now be scheduled before further bylaw readings are considered. For more on this story, see the June 13 issue of the Driftwood newspaper.